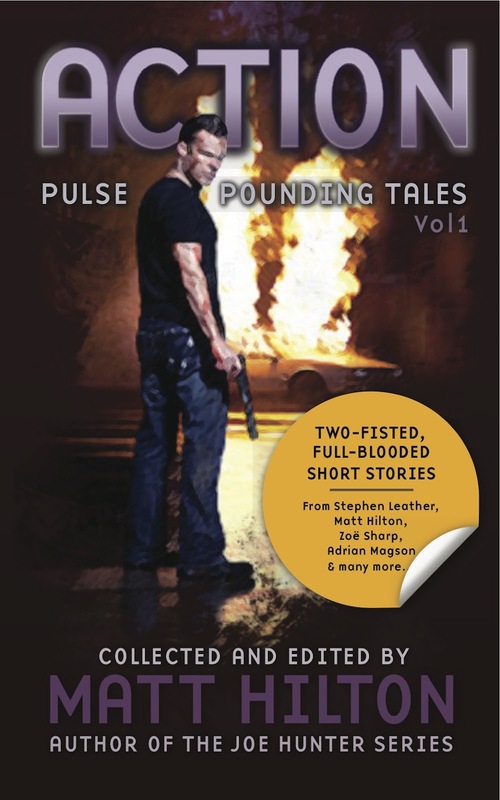 Those brilliant people over at Crimesquad.com have given ACTION: PUlse Pounding Tales Vol 1 a hefty five star review. I'm chuffed to bits at this line: "This book should not be purchased by asthmatics or heavy smokers as it leaves a fit person breathless with excitement." Of course I can't take all the kudos for this terrific collection, it's obviously down to the quality of stories delivered by such luminaries as Stephen Leather, Zoe Sharp, Adrian Magson, Steven Savile and Stephen Lockley, Paul D Brazill, Col Bury, David Barber, Graham Smith, James Oliver Hilton, Iain Paton, Richard Godwin and many, many more. The collection merely reflects the quality of writing talent out there. Some are full time writers, some have been recently discovered, others are newbies delighted to have been included.